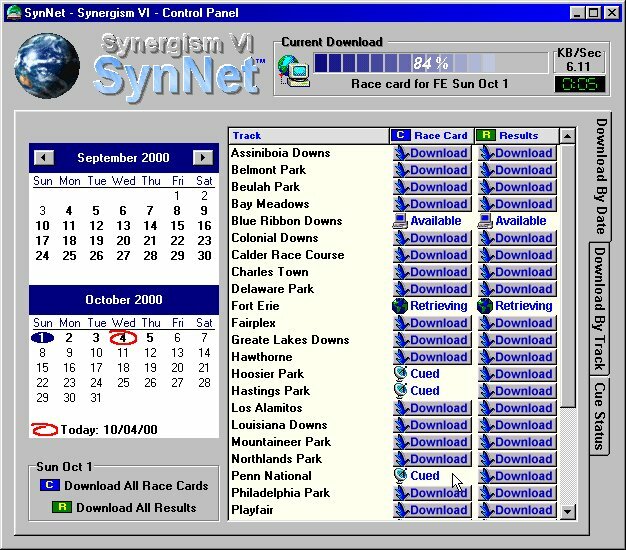 Synergism VI provides today's handicapper with the ever more extensive information needed to win at the tracks. The program is designed to easily allow for you to view detailed information in all categories, including past performances, extensive trainer/jockey statistics and a trainer report, track profile, decision model, pedigree information and more. This very comprehensive handicapping tool has a long learning curve due to the extensive coverage it provides, but once you become familiar with its powerful features it is the fastest and most effective tool you can find on the market today. This brief tour of Synergism VI in no way near covers all the features and functionalities this powerful tool provides, but is provided as to establish a brief understanding of it's outlined concept. We ultimately encourage users to download the free demo provided and experience this revolutionary tool hands on. The Fastest Access To Data Files On The Market Find out how Synergism VI uses technology to its fullest to provide you with access to data files in a manner unavailable with any other software on the market today. The Race Data Base See the ease of accessing hundreds of races with a few clicks. Trainer / Jockey Stats & The Trainer Report Be dazzled by the level of comprehensive statistics and reports Synergism VI provides for the trainer and jockey. The Track Profile A powerful track profile that is easy to use. The Decision Model Learn how your handicapping skills are measuring up and how the programs variables and statistics are performing with this fully programmable decision model. A Fully Customizable Print Wheel Customize and build reports the way you like to see them with few clicks of the mouse. 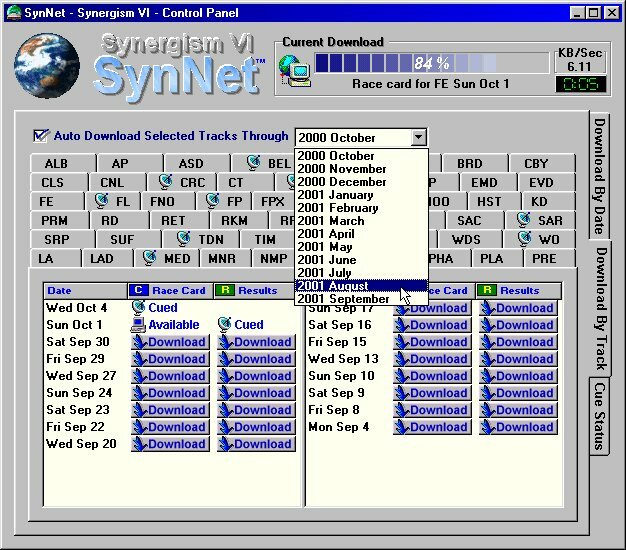 click here to enlarge SynNet is the smart race retrieval downloader included with Synergism VI which allows you to download any number of files. Files may be downloaded by either date or by track and selected files will be queued and downloaded in the order they were selected, just by clicking on the "Download" buttons next to the races or results you would like to download. SynNet runs along with the main Synergism VI program and places an icon in the Notification Area (i.e. the System Tray) of the Windows task bar and constantly checks for new race files and updates. For example, if Results files you are waiting for become available while you are working on a race card, you would be notified that "Results are now available" and they will appear automatically. click here to view expanded screen Also, you may select tracks that you would like to automatically download and, when files for those selected tracks become available, SynNet will automatically download and install them. This takes the hassle out of waiting for files to become available and allows you to download files for the tracks you most often play without ANY work what so ever. click here to enlarge Once files have been downloaded using SynNet, they will automatically appear in the Synergism VI races database. The races database is arranged so that access to a race from within hundreds or even thousands of race files can be made with a few clicks. 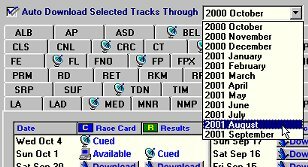 Simply click on the track and a list of dates will appear, click on the date and a list of races will appear, and double click on the race to open it. The race list also easily allows for you to select and print multiple races with a matter of few clicks. 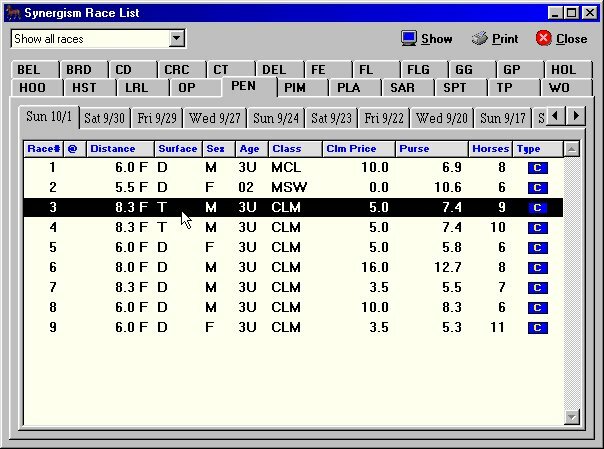 It also serves as Synergism VI's file manager by allowing you to delete or move any race cards or entire tracks by the right clicking on the tabs and selecting the appropriate action to take. The primary handicapping screen for Synergism VI allows for you to do most all of your handicapping and is one of the revolutionary aspects of this powerful program. It allows you to view comprehensive information in detail without having to switch to dozens of different windows. It is formed of two sets of tabs which are always kept in synchronization. The information provided for the highlighted horse on the bottom tabs can be seen regardless of which upper tab is being viewed which allows for you to cross reference the information provided with ease. Here we continue with an extremely brief concept outline of some of the upper tabs provided. The entries tab as can be seen in the above picture displays basic entry information for each horse and the status of the horses being evaluated. The contender tab provides you with the initial comparison of horses and their abilities. The idea is to get a brief understanding of each horse's abilities before choosing lines for them in the next step of the recommended handicapping process. The Contender tab provides important information such as running styles, price, speed, class and sire ratings, win percent, in-the-money percent and earnings per start for each horse's recent, turf and off track performances. Line selection is one of the most important part of handicapping races. Synergism VI allows for you to define certain criteria with which to select pacelines automatically with. The selected lines are what the horses will be evaluated based on in the handicap screens to follow, thus it is very important to select the best representing lines. Even though Synergism VI's programmable line selection process will pick out these best representing lines for you automatically, we encourage you to go through each horses past performances and carefully study and analyze them to make sure the selected line(s) are the best representing. Note that if more than one line for a particular horse seems to be equally representing, more than one line can be selected, where which the lines will be comparable in the handicap screens to follow. The PP Lines Tab provides you with significant information for each horse's past performances with raw times which were acquired and trip comments to accompany them. Also very useful is the PP Details tab used in conjunction with this tab which allows you to view the details for each of the past performances displayed. The Adj. Lines Tab provides you with the past performances of each horse adjusted to today's track, surface, distance and condition along with valuable figures such as the, SSR, TPR, Median Energy and the projected track variant to accompany them. The HandiCap 1 tab is the first handicap screen which allows you to view, compare, and analyze the horses' predicted performances. This tab provides you with performance variables, the TOP 5 odds, and line selection warning (in case no lines were selected for one of the horse's in the race). The HandiCap 2 tab provides you with the predicted layout of the field. Showing you the predicted times each horse will run, their probable beaten lengths, their running styles, and more. The HandiCap 3 tab places many of the important variable which can be found in the program as rankings for easy comparison. It is a very powerful screen to use in conjunction with the Decision Model. Synergism has been built with the understanding that most handicappers handicap in a unique matter with their own theories and judgments and provides a fully customizable, programmable and flexible handicapping environment. For this reason most functions in Synergism can be customized to your liking. The Handicap Custom Tab provides you with your own handicap tab, to create, modify and manage the layout and content of the data that you feel is most prominent. You may create from dozens of diverse layouts and content arrangements, assign names to them, and select them by the right click of your mouse. The above animation shows how easy it is for example to add the median energy variable to the data content of the default layout for the handicap Custom tab. With Synergism you will not have to switch screens to view the results for any race. The results will automatically appear inside the race when they are available. Note in the above animation when results become available the Results tab becomes available as it is appended to the upper tabs and the Mutuels and Trip Notes tabs become available as they are appended to the lower tabs. Synergism VI provides very valuable extensive and comprehensive trainer and jockey statistics. We can not stress the importance of the role of trainer and jockey statistics should play in the process of handicapping in today's age. A lot of times the handicapper tends to over look such important information and looses on easy to win bets because of the lack of information available to the handicapper in this field. In this aspect Synergism VI is the uncontested leader in the handicapping market today and provides the critical information needed to understand the trainer and his/her behaviors and tactics. A valuable insight that every handicapper should have. The Trainer / Jockey statistics provided are organized in an easy to read format and can be viewed for any horse selected on any of the upper tabs. 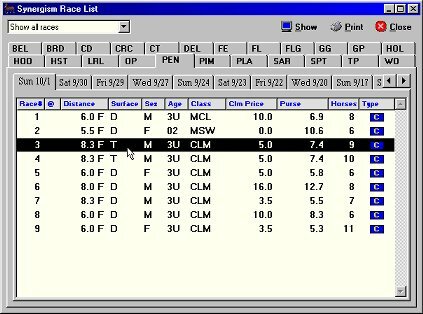 The above screen is brought up when On a Roll is selected in one of the upper tabs and offers statistics for both Applicable To Today's Race and General Statistics. These statistics are variable and some trainers and jockeys will have more statistics provided than others. Also note that the above animation does NOT demonstrate all the statistics provided for the reason just said and since it displays only a part of the scrollable region of the statistics. The Tr / Jk tab is an excellent way to study the trainer and jockey for each horse. On top of this we also provide you with a Trainer Report which, as can be seen below, allows for a easy comparison between the trainers of the race. The Trainer Report is fully customizable so you can select to view only certain number of criterias from the many categories available. Note that the Trainer Report gives only content as applicable to today's race. So you won't need to sort through dozens of statistics which bring no value for today's race and concentrate on what is pertinent. The track profile is another very important aspect of Synergism VI. The track profile provided by Synergism VI is categorized by today's race and the definition of how strictly it is categorized is fully adjustable by the options you set for it. In one easy to view layout the short term (the upper line of data provided) and the long term (the lower line of data provided) statistics can be seen for the Win Profile, Place Profile, and the Show Profile. And even though full flexibility through the properties of the track profile is provided the user may view the underlying data for both Short Term and Long Term by pressing the Short Term and Long Term buttons respectively as can be seen at the lower right hand side of the track profile tab. Synergism VI is one of the most powerful handicapping software on the market today, but lets face it, not all variables provided will lead you to the winner every time in all wide variety of categories of racing. For this reason it is critical to have and use a decision model. Synergism VI's provides yet another most powerful module by publishing it's fully customizable, adjustable and programmable decision model. The Synergism VI decision model is provided in two folds. The first is the race decision model which appears as a lower tab in the main handicapping screen and the second a track decision model which can be accessed from either the race decision model tab or from the main menu. The race decision model automatically categorizes any race and displays pertinent statistics for the category the race falls under. The Analyzation method used in the below illustration is the percent method which indicates the success rate of each variable displayed for the Position To Analyze selected. A quick glance at the statistics provided on the top line of data shows the availability of 13 races which are being used to generate the statistics which fall under this races category for this track. Looking deeper in to the percentages displayed it can be seen that the variable 1+3 generated 46% hits. In other words 46% of the time the 1+3 variable indicated the winner of the race. Further analyzation shows that the PSR or projected speed rating performed 92%. In other words 92% of the time (12 out of 13 times) the top PSR horse won the race. So what would this tell you? Obviously for this race category the PSR and 1+3 are very significant values to pay attention to and even between the two, PSR should be weighed heavier than the 1+3 since it succeeds at a greater rate. As can be seen the decision model brings you yet another set of critical information in a easy to read format to help you handicap your races. And you do not even need to switch windows to get it's assistance. It is all built in to the main handicapping screen as an all-in-one powerful combo. The Track Decision Model is provided as a tool to study the track which you handicap. It provides dozens of categories by default which can be appended to and adjusted to it's full extend for your liking. It is a tool which allows for you to study every aspect of the track you are interested in. A tool which will bring you the understanding of how a track performs and how Synergism VI works with it. An understanding which is of up most importance in bettering the way you handicap. click here to enlarge Synergism VI, as it is complete in every aspect, provides one of the most sophisticated report generation engines in the market today. Every aspect of the reports created can be customized, the content adjusted, reordered, cycle orders modified, custom data content printed, and all reports styles and settings you create can be saved for easy access and future usage. The illustration to the left demonstrates the program default report style (as can be seen as selected in the settings box to the upper left hand corner). The default report style allows for you to print a powerful report without having to make any alteration. Just press Print and you are on your way. And the details, as shown in the illustration to the left, are by default are hidden so that adding and reordering data content is very simple to do without seen the detailed options provided for each data content. But the detailed options are always available by the click of your mouse. Furthermore in one step you can print from any number of races in one race card. For example, you can print 1 race, all races, races 1 through 6, or races 1, 3, 4 and 8. Excited about Synergism VI already? Well, you've only seen a brief tour of it's full capabilites! 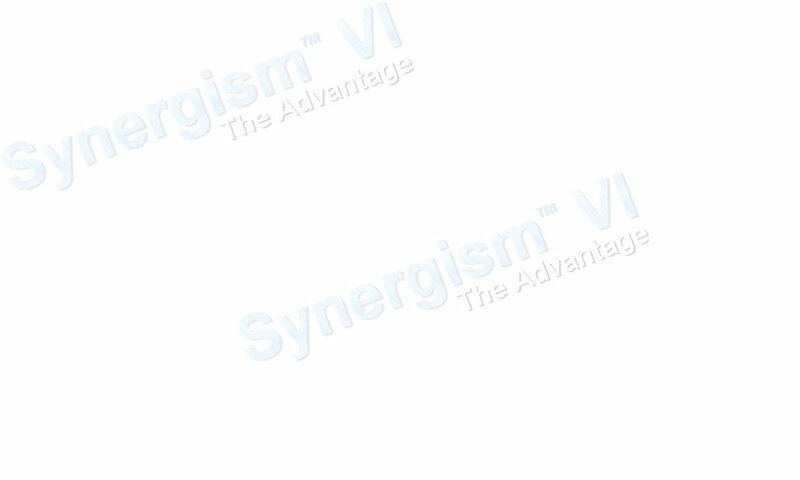 Download the free demo of Synergism VI and experience it for yourself now! After all there is no way we can fit all the features of this Synergism VI in to any type of tour. Download Synergism VI now and find out how to use the Automatic Choice Selector which automatically uses our powerful decision model to make choices with, experience the ease of studying and handicapping races without having to change windows, find out how to customize Synergism VI to think and behave the way you want for it to, learn about the no-nonsense file management and how to download race files with the matter of 3-4 clicks from open to close. What makes this powerful program run? Under Synergism VI's hood is a multitude of C++ modules all written from scratch using the latest technologies designed in a flexible componitized fashion to allow for the bright future this product has. Using state of the art engines such as the BDE, the VCL, latest internet communication protocols, and a core database engine developed by us in C++ to offer the speed, performance, and flexibility to run this powerful product. Note: Although Synergism will run on WinXP and Vista, Microsoft has ended support for these Operating Systems. Download the free Synergism VI demo now and experience this revolutionary tool hands on!